The following post contains a set of products that I was given free of charge in order to facilitate a review. All opinions are my own and in no way influenced by the company. A few weeks ago, in the name of not having enough time to make a meal, I hit up the deli at our local grocery store for some fresh eats. Instead of ransacking the salad bar, I opted for a pre-made kale salad that was mixed up with some poppyseed dressing. It sounded healthy, it tasted healthy (yes to free samples, always) and it was priced right. 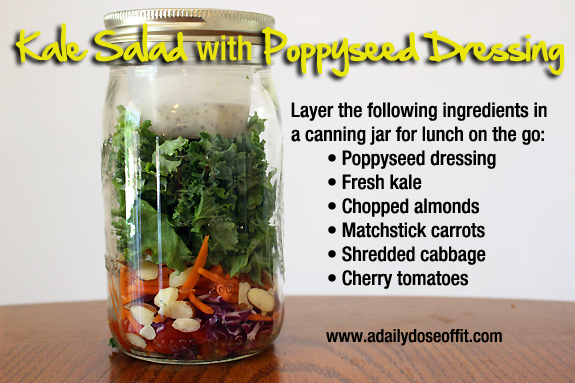 Let's go back to the concept of canning jar salads. 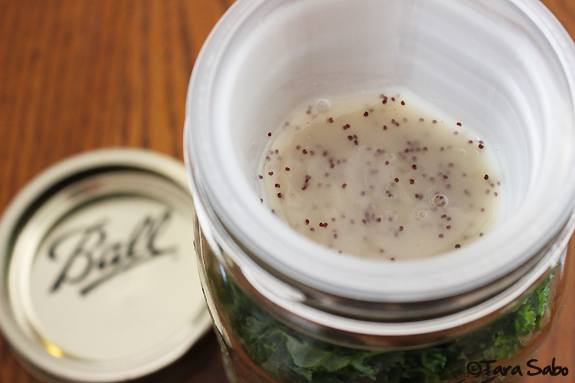 Quick tip: If you don't have a BNTO by Cuppow, I suggest you put the dressing at the bottom of the jar so that your kale stays fresh (and not soggy). What's a BNTO? Let me tell you! Much to my husband's dismay, I have quite the canning jar collection—but I hardly ever use them for canning. To me, they are cups and lunchboxes, or Earth-friendly alternatives to plastic food storage systems. And Cuppow makes all of that so much easier. 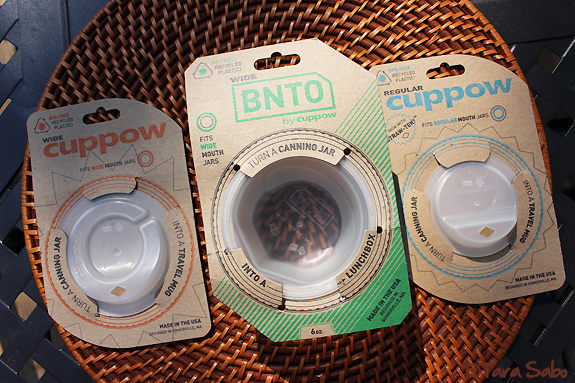 Their lids literally turn canning jars in to travel mugs and lunchboxes. I mean, so cool. Right? Yep. 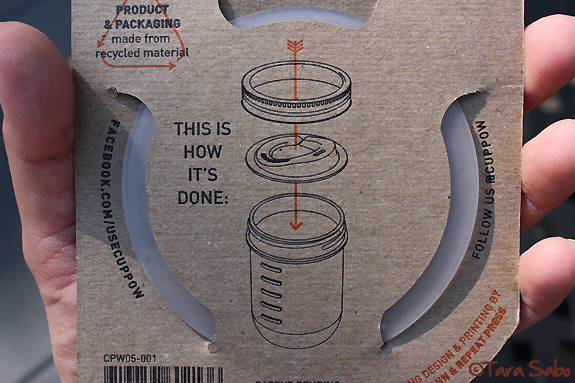 Cuppow makes drinking lids, too (shown in the directions above). They fit both wide- and regular-mouth canning jars. 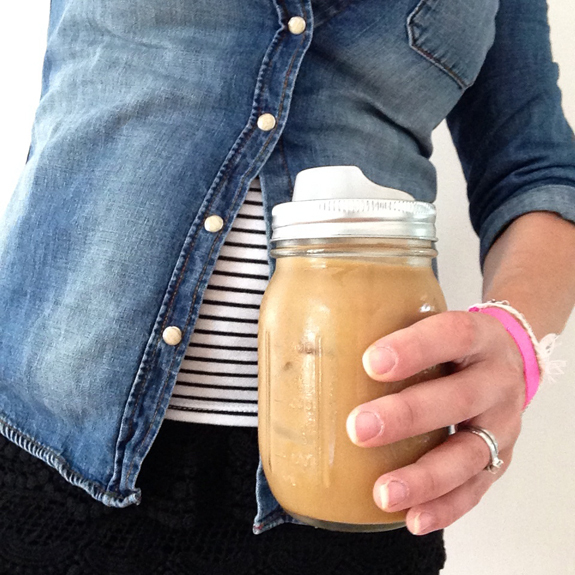 I mean, who needs a fancy coffee cup when you have a canning jar? Here's where it gets fun: Cuppow sent me two of everything you see above, so I have a set to give away. Note: The jars are not included, and you must be a resident of the USA to win. Use the following Rafflecopter to enter. Contest ends Friday, June 25, 2014 at Midnight EST. Salads are awesome but also either a juice or smoothie for on the go. 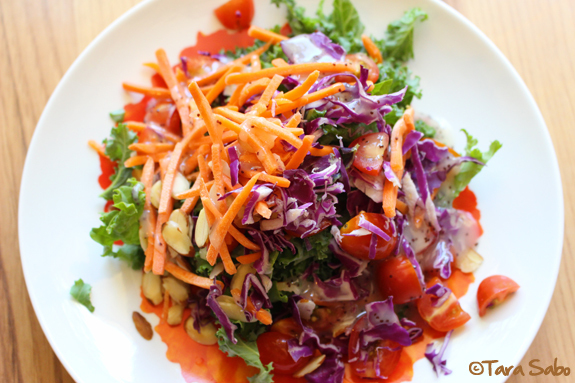 Salad or nuts for toppings is a perfect idea! Either a salad or a smoothie! I'd definitely be taking smoothies to go! Sweet! Lately I've been taking salads to go with BNTO too & it's def cut down on my office lunch expenses. I'd love to try the salad trend, but a drink would also be perfect. I love drinking from mason jars and love when restaurants have them as their glasses.